At last, those rare days in June have arrived, those perfect ones James Russell Lowell rhapsodized about. Life in Western NY teaches us that perfect days are hard to come by in any month, so seize these days! I enjoyed the refined pleasure of a Prairie Home Companion performance in Canandaigua. Seeing the radio show in CMAC’s splendid open air venue made the experience even more genteel, but the performers had a hard time competing with very vocal American Robins greeting the dusk with song. 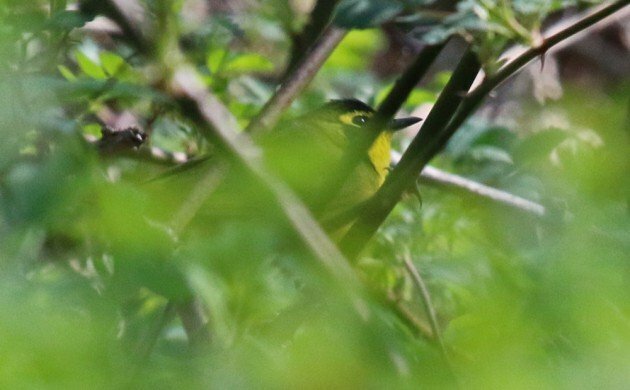 Corey’s Best Bird of the Weekend was difficult to decide with Cerulean Warbler, Yellow-billed Cuckoo, Upland Sandpiper, Grasshopper Sparrow, Golden-winged Warbler, Bobolink, and Hooded Warbler all competing for the top spot. But the Kentucky Warbler singing away at Doodletown won the honors this weekend even though it wouldn’t cooperate for pictures worth sharing. The one above was spotted in Queens last year. Best for me definitely goes to my lifer Brown Noddy seen from the Puntarenas-Paquera ferry in Costa Rica. We also saw hundreds of Black Terns, Brown and Blue-footed Boobies, a subadult Parasitic Jaeger, and 6 Galapagos Shearwaters.